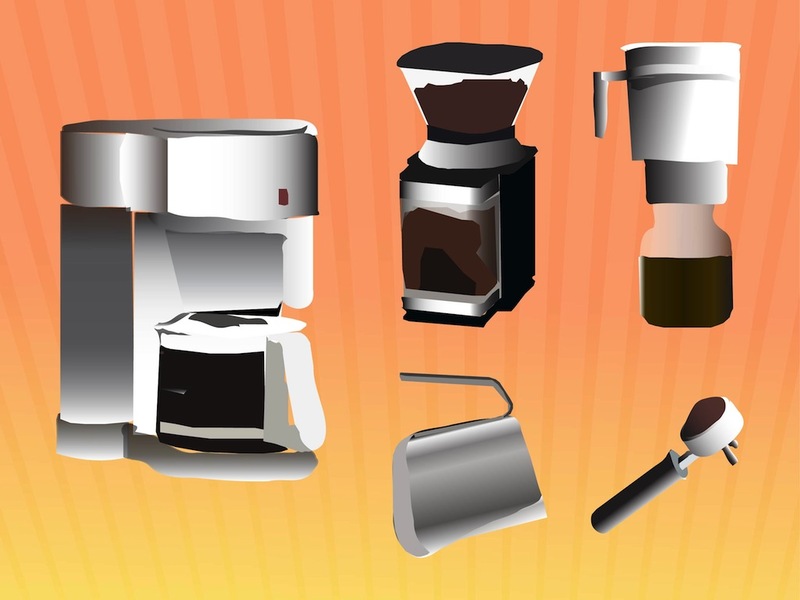 Hot beverage vector graphics of several devices used for making coffee. Abstract illustrations of a coffee grinder, coffee machine, brewing device, espresso handle and a small milk jug with a metallic finish. Free vector illustration for all kinds of coffee, hot drinks, beverages and barista projects. Tags: Appliances, Barista, Brewing, Café, Devices, Espresso Handle, Machine.